Obama proposes making bad benefit cuts slightly less bad. 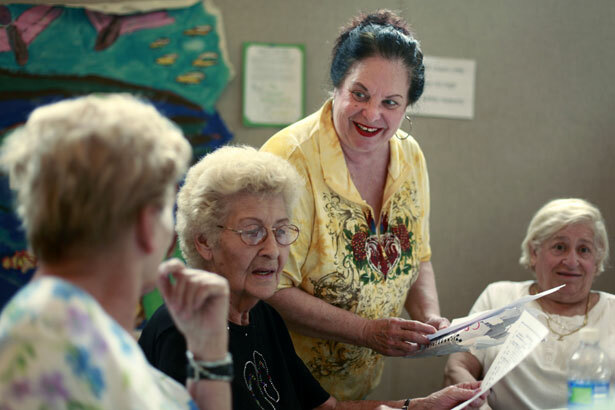 New proposals would restore some benefits for older retirees, but still represent an overall cut. (AP Photo/Matt Rourke). The Chained-CPI provisions in President Obama’s budget proposal come with an ostensible sweetener: extra protections for the very elderly and poor, along with veterans. As we touched on last week, these protections fall short in several ways. 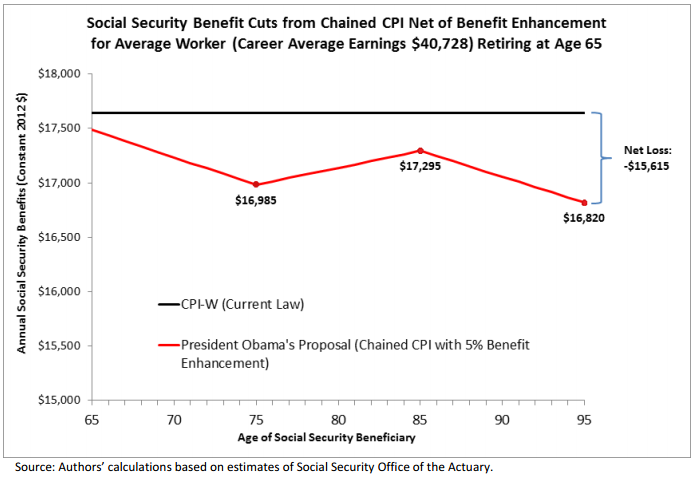 Obama proposes exempting Supplemental Security Income (SSI) from readjustment by Chained-CPI, but there are 9.4 million poor or near-poor on Social Security who are not on SSI, and another 2.8 million “dual eligibles” who draw from both. Another way the administration proposes to help seniors hurt by Chained-CPI is to provide a bump in benefits at age 76, or after 15 years of disability payments. The Simpson-Bowles plan and several others that include Chained-CPI have had similar provisions with some variations—each restore some of the lost benefits, but still amount to a net benefit cut. In case you missed it: George Zornick debunks five common myths about Chained-CPI.